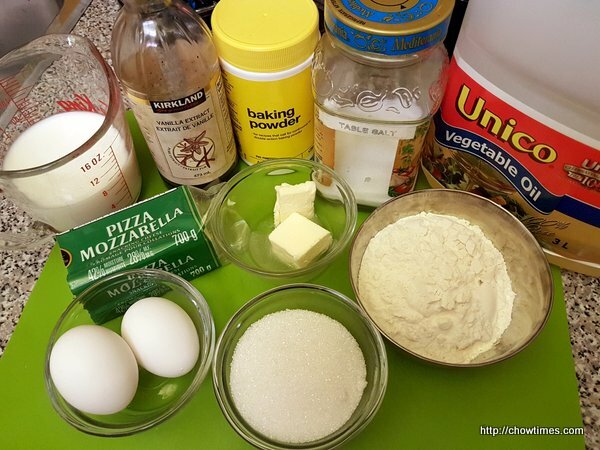 Ben made this Korean Egg Bread for me to bring for lunch at work. 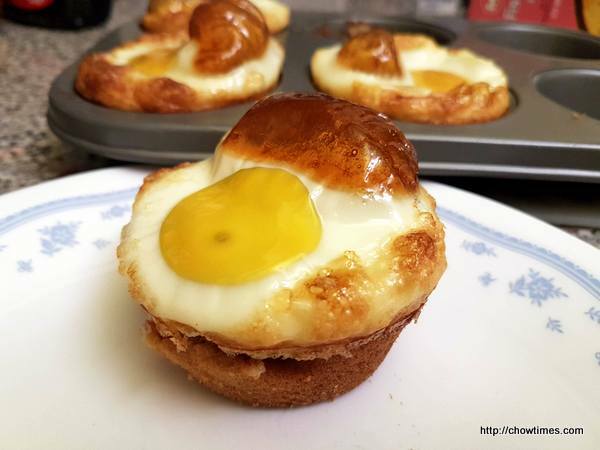 We used a muffin tin to make four with egg filing. Since I am not a fan of egg, I asked him to made me a couple with cheese only. 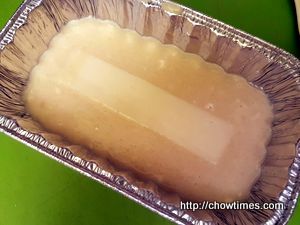 We used a rectangular aluminium foil pan to make mine so that I get a bigger portion. In a big bowl. beat the eggs. 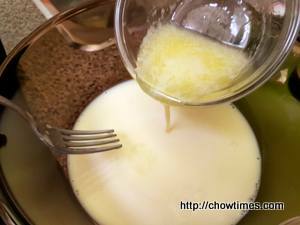 Add milk and melted butter. 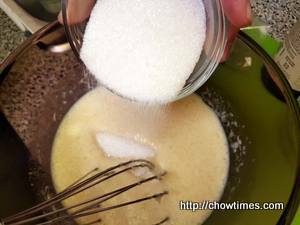 Add sugar to the wet ingredients and stir until sugar dissolved. 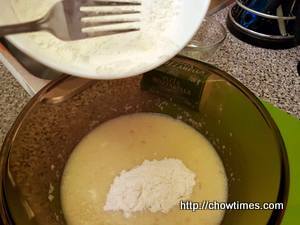 In another bowl, combine flour, baking powder and salt. Stir to mix. 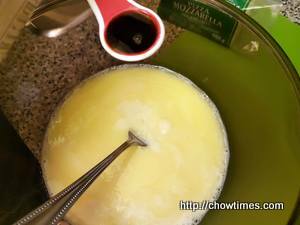 Add the dry ingredients to the wet ingredients and stir with a spatula until not lumpy. 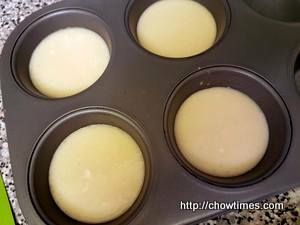 Brush the mini loaf pan with cooking oil to prevent sticking. Fill each pan about 1/2 full with the batter. 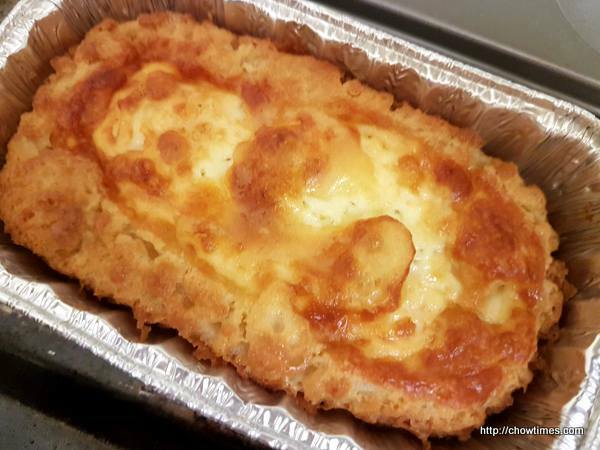 For my version, I place a piece of cheese in the center of the batter. Like wise, we fill half of the muffin tins with the batter. 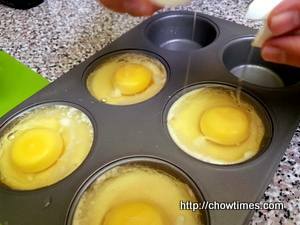 Crack an egg onto the center of the batter in each of the muffin tin. Fill water up to the half way point for any empty muffin tins. 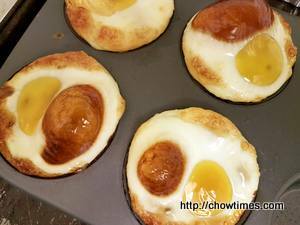 Bake the egg bread in a 350F preheated oven for 30 to 35 minutes until a toothpick inserted into the batter section comes out clean.